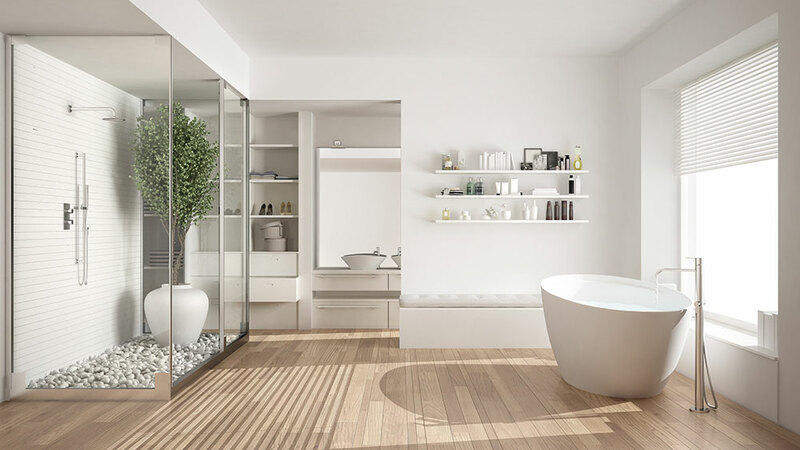 It’s not easy to give up your bathroom for days or weeks on end, but if you’ve committed to a refresh, you’re probably prepared to sacrifice a bit of convenience in the short term in order to revitalise an important part of your living space. Bathroom redesigns are great for individuals set on adding value to their homes set for sale, but they’re also a smart investment if your fixtures are showing wear, you need to fix a bigger underlying problem, you need to safe-proof for small children, and even if you’re looking for that extra bit of storage. 1. Set a realistic budget. Like any other home renovation project, you’d be surprised at how easy it is to lose sight of the amount of money you’re spending pretty quickly. Decide up front what you are comfortable with spending to complete the renovation, and work out what’s possible within that budget to lower the likelihood of panic or frustration further into the renovation process. 2. Plan a layout. The stick to the plan. Chances are, your bathroom already has piping and electricity laid out in a specific way. In most cases, you can change these elements (just understand this will cost more money). But no matter what the plan, it’s advisable to show it to your tradespeople for their opinion as well. They may see things as professionals you might have missed and can save you time and money with their professional insights. Then, once you’ve decided on a layout, consider it set in stone. Moving an entire bath unit from one side of the room to the other will be more expensive than leaving it where it is, but think of how much money it will be if you change your mind on an element like that…and then change it again. A simple design is more effective, especially if your bathroom is small. It’s always advisable to avoid curves, steps, crown moulding, or non-essential details that may clutter the space and make it feel over-done. Keep in mind that a simpler design is also a more cost-effective one. 4. Don’t downplay the storage. While focusing on design minimal is ideal, remember that storage is also essential in keeping everything looking, well, minimal. You’ll most likely want to tuck away dirty clothes bins, towels, toiletries, and other miscellaneous items essential to a bathroom. Make sure you’ve considered where all these things will go as you finalise your design. Renovating any space requires a lot of up-front work. Before jumping in, begin to source professionals. Ask for recommendations from friends, or do some online digging. When making inquiries, have a list of questions ready, from availability to costs. Don’t forget about the sanitaryware too. Begin to shop around at different stores or suppliers to find the best pricing or special deals. 6. Choose sanitaryware before starting. Once more, do the work ahead of time before gutting your bathroom. Choose your sanitaryware before beginning, so everything is ready and on hand for installation, and your tradespeople can see what they are working with before they begin. This way, the plumber, for example, can ensure hot and cold pipes are in the correct position. Have a list of everything you need before you hit the sales floor and be ready to mix and match items for extra savings. And keep your budget top of mind. Remember: you may be able to salvage useable elements in your bathroom, such as a bathtub or sink, to save money and stay on budget. 7. Consider lighting and prioritise air ventilation. If you’d like to create a spa-like oasis, you may want to add two circuits to have both task lights and dimming lights. If you prefer to have a central fitting, consider a pendant light. When seeking a cost-saving solution, note a central fitting will be less expensive than wall lights or individual pot lights. Of course, if the idea of one light doesn’t seem sufficient, source multi-bulb fittings that require just one power cable. Also, hire an electrician early, so he can plan his job accordingly. He’ll possibly need to do some re-wiring and should be consulted on lighting schemes. Make sure to prioritise air ventilation to prevent mould and moisture build up. Your electrician can install a fan that vents to the exterior of the house, to help you avoid an overly moist environment. 8. Consider your waterproofing options. Waterproofing is essential around the sink and tub area, but it might also be something to consider on the floor and walls too. Backer boards can be used on walls behind your bathtub or shower. They are 100% waterproof when taped and jointed and even act as insulation. These will limit leaks that could be costly in the future. No matter what your price-point, planning is key. Doing some preliminary homework and discussing your design with professionals will help the project immensely. Don’t forget to consider what’s already there to simplify the re-design process, and make sure to pay attention to little details, like waterproofing and ventilation that will keep your bathroom fresh and inviting for years to come. Are you ready to tackle your own bathroom? 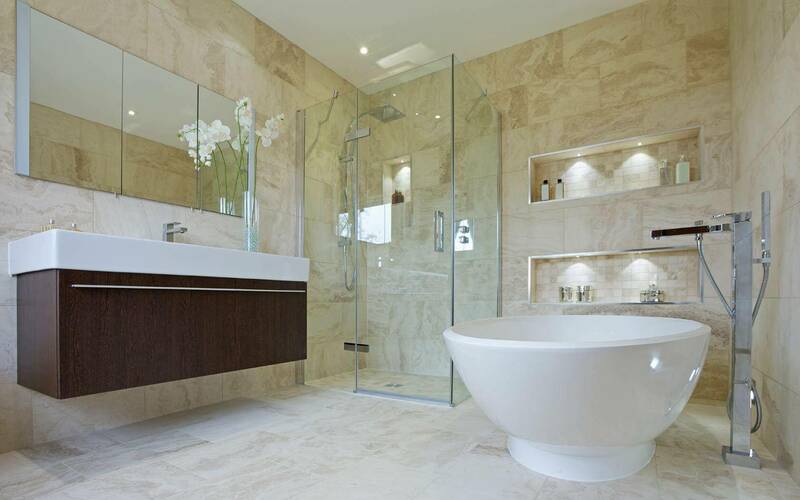 Contact the team at Crystal Bathrooms today to see how we can help you ensure your bathroom renovation is a success.